One of the most frequent questions we are asked is: How can churches save money on their church building project? Starting with this post, we will be discussing just how to do that over the course of the next several articles. We’ll break down some ways churches can save money—and look at the impact those ways might have on the true value for your church and its vision for ministry in your community. Let’s start with what we call “up front savings,” ways you can save money with the design of your church building or remodeling project. For example, you can choose vinyl siding for the exterior of the building, rather than brick or stone, and you can vary the thickness of that siding. You can choose a lower-cost carpet or a less expensive HVAC system. Every item in your church building will have different quality grades that you can choose from—even down to the doorknobs and light switches. One important element to understand, however, is that choosing less expensive items will only gain you up to about 10% savings on your total church building construction cost. So, if you’re working with a $1.5 million budget for your new construction, you’re only going to save about $150,000 by choosing cheaper materials. $150,000 is still a lot of money, but if you’re hoping to save half a million dollars on the project, cutting costs on materials isn’t going to get you there. 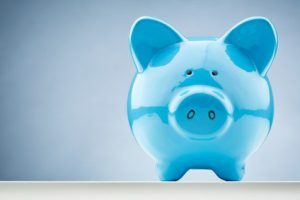 There are two other considerations when trying to create up front savings. The first is how products of lesser quality will hold up over time. For example, if you choose a carpet made from olefin (standard for residential building construction) instead of a higher-grade nylon carpet, your carpet is likely to wear out and need to be replaced much more quickly. This is because olefin is not as durable, while more costly nylon carpets are designed to handle the higher volume of foot traffic found in public or commercial buildings such as churches. Another important consideration is your church’s reputation in the community. Does your community have simple, straightforward buildings without a lot of panache? If so, you can construct a less-lavish church building, which will fit into the community ethos and people will feel comfortable attending your church. On the other hand, if your community values the finer things in life and you construct an inexpensive church building with cheaper materials, it might fail to attract and keep the people you are trying to reach. As you can see, when it comes to managing costs there are many possible paths and decisions to make, and there are consequences for every decision. In our next post on this topic, we will address the life cycle of materials and products and how they fit into the cost-cutting decisions you make. To learn more about saving money and other church building topics, we invite you to sign up on our website for our free i3 webinars, where we cover a wider range of information on how to most efficiently approach the construction or renovation of your church building.